Make 2017 a New Year for a New You. Start the year right by committing to a healthier lifestyle. A few simple and practical lifestyle changes can make a positive impact on your health and also prevent you from experiencing a painful injury in the year ahead. Most New Years Resolutions lists are triggered by a certain excitement for the possibilities of weight loss, eating right and actually using that dusty gym pass. Others may be created by fear and self-loathing. Whatever the motivation, now is the ideal time to set goals for improvement in the year ahead. More often than not, most resolutions are overly ambitious. “I’m going to drop three dress sizes”, “I will go to the gym six times a week every week” and “I won’t touch the booze” are simply and irrefutably unattainable. Small steps equal big results. I am not a big fan of “New Years Resolutions.” But if we had to pick a list for people to consider – this would be it. I will limit my intake of caffeinated coffee, soft drinks and teas. The caffeine in these drinks can cause dehydration and can rob the body of essential nutrients. Stick to water, fresh juices (although watch the sugar) and other decaffeinated beverages. I will avoid over medicating myself and my family. Many over-the-counter and prescription medications have dangerous side effects. We have many alternative therapies here at Emed, and you are sure to find one for your specific health concern. Simply visit our product pages or talk to your Emed Practitioner today about how to get the best out of this year. I will try to keep moving while I’m at work. If you are sedentary for the majority of the work day, it is very important to take periodic stretch breaks. Get up from the desk and take a brief walk, and stretch arms and legs as frequently as possible to avoid postural and spinal stress. Frequent rotation of duties is one of the most important behavioural modifications you can make! I will not be a Weekend Super Hero. Moving 10 metres of mulch may be good for the garden but is not brilliant for your spine – particularly if you are not performing manual work all the time. Also, 16 hours of water skiing on the weekend after sitting at an office desk during the week is not good for spinal health. 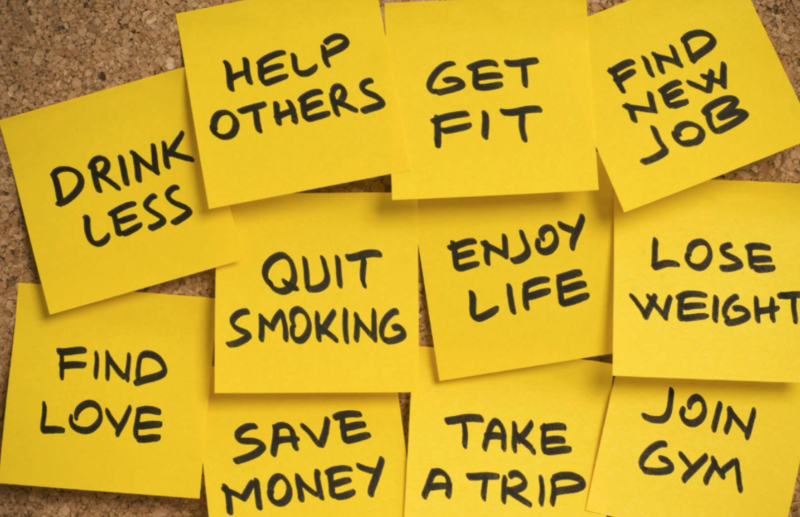 The New Year is a perfect time to create some positive habits that can change your life. But promising to change is a lot easier than actually doing it. Skip the “I’m going to run a marathon” and “By March I’m going to have a killer six-pack” resolutions and make some you can keep. Stop thinking of exercise as a punishment. It is an excellent change for you to relieve stress and take some time out from the hectic pace of daily life. Start small. Walk for half an hour three times a week. Once you have settled into a routine of walking whenever possible, your fitness will improve and you will be able to take on more exercise. You may even start liking it. Choose a physical activity that you enjoy. If you don’t like getting hot and sweaty, try swimming or aqua aerobic classes. If you have some scenic walks near your home or work area, put your walking shoes on and enjoy the view. Find an exercise partner. Motivation is the key to a successful fitness routine, and being responsible for another person is a great motivator. Consider your exercise as you would an appointment. Include your workouts in your diary, and treat them as importantly as you would any kind of appointment. Set achievable goals for your fitness. Include improvements in your diet within these goals, such as cutting down on sweets or deep fried food. Write down these goals and review them every month to check on your progress. Eliminate the bad habits with our recommendations and you won’t even notice the effort. After a heavy festive season, during which your liver has been pickled and an extra layer of fat has collected around your mid section, January is the perfect time to clean up your act and your body. Quit smoking. Instead of ‘cutting down’ gradually – go cold turkey. Think of all the money your waste on cigarettes, and the devastating health effects they have on your body. Quitting altogether will extend your life and save you around $3500 a year! Start a detox! A detox (or cleanse) works by giving your body a break from the toxic excesses that our lives create. Detoxing is about giving your body what it needs – not what it craves. By undergoing a gentle course of detoxification supplements – including detoxification greens, pre- and probiotics, you can expel the toxins that are built up to allow the full recovery of bodily tissues and organs. Emed now offers 2 week and 6 week Detox Programs. Think more positively all the time. You may have ‘blue’ days, but try to reflect on all the good things in your life – your family, friends, work, garden – whatever to put a smile on your face. You will look and feel a whole lot better for it. Cut down on the drink. Try to limit yourself to a couple of drinks a week, and try to make it a red wine for added antioxidants. Continue your exercise routine! Exercising is one of the best ways to feel good everyday. Eat more, cook more and boost your protein to shrink your gut. Cook from scratch whenever possible. Cooking healthy, nutritious and tasty meals from scratch will dramatically improve your chances of losing weight and will save you money.Check out our Weekly Meal Planner for some easy and delicious meals. Boost your protein intake with a protein supplement. Protein is crucial for maintaining, repairing and boosting lean muscle tissue, and will therefore burn more calories.Emed stocks a great range of protein shakes, bars and ready mixed drinks to boost your protein levels. Eat more fruit and vegetables. There are many ways to boost your intake – incorporate more into your meals, and try to include some fruit/vegetables/protein in every meal. Reward yourself for achieving goals. Make the reward non-food related so you won’t be tempted to ruin your improved diet. Get a massage, buy something for yourself or take yourself out to a movie. Last of all, realise that this is a lifetime commitment. Fitness, diet and wellbeing cannot be gained then stored away. Once you stop exercising and lose focus on your diet, you will lose your motivation as well as your fitness and energy. Remember – once you start it only gets easier!